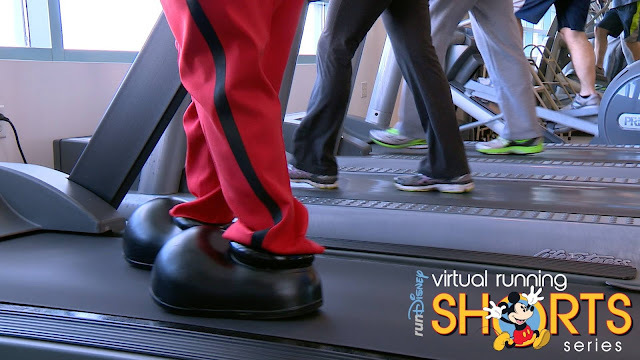 runDisney announced today that they are starting a virtual running series and to be honest, I am surprised it took them this long. The Disney running community has been sharing their thoughts since this announcement was made. More on that in a bit. First lets talk about the runDisney Virtual Shorts Series! There are thre 5K events taking place from May 15 through June 30. Each has a different medal - and these are not the rubber 5K medals at runDisney events. Each of the three series are based on Mickey Mouse - his yellow shoes, red shorts and white gloves. Of course there is a challenge if you register for all three where you will receive a special edition Mickey medal and a tumbler. Lastly, there is no proof of time on these events. It wouldn't be runDisney without a challenge! Three 5Ks, four Mickey Finisher Medals, and 9.3 miles of fun! 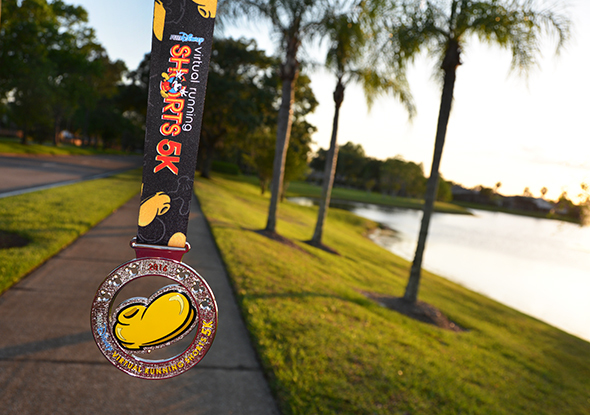 Complete all three Running Shorts 5Ks within the scheduled dates and you'll earn the first-ever Running Shorts Mickey Series Medal and Mickey tumbler in addition to your Red Pants, Yellow Shoes and White Glove Individual Finisher Medals. You must register for the Virtual Running Shorts Series to receive the Running Shorts Mickey Series Medal and Mickey tumbler in addition to individual race medals. Like everything in the world of runDisney, people love to hate them. I've seen a lot of negative comments around why Disney would do such a thing. People complaining that it's $40 for a virtual race which doesn't benefit a charity or those unhappy that there isn't a proof of time requirement. Worst - people making fun of other runners. Not cool people. Not cool. Stop stereotyping. First 5K Goal with Awesome Bling: Use this as a practice 5K before signing up for your first - and get really awesome bling. Save on Travel: It's a great opportunity for those not close to Disney World or Disneyland to get some runDisney bling without shelling out tons of money for travel. Judgment Free Zone: Virtual races are all about you and your Garmin. While I love runDisney, there are quite a few Facebook groups who have turned my stomach recently. There is so much hate - which is the opposite of what Disney is all about. Being the Running Short Series is virtual and has no proof of time requirements, you will not have others judging you. This gives those who feel intimidated to tackle their first 5K a chance to give themselves a chance to boost their ego. However, I do beg you - if you sign up for this, get the mileage in and don't pay for it not to run it and just to receive the bling. Get your kids involved: Children 5+ can participate. it's a great way to encourage your kids to start running. On a side note - when I started running in 2012, I chose to register for the runDisney Enchanted 5K as my first official 3.1. I had NO IDEA what I was in store for. My friend Nicole and I got out of the car and we both nearly burst into tears. There were thousands of people around. I was so worried about what everyone else thought of me - I was a new, slow runner (still slow today). However, it was this race and the magic of runDisney that made me fall in love with running and I signed up for my next race the moment we got home. I know others feel intimidation at their first event and the virtual series would still allow runners who love runDisney and want to be part of it get their first 3.1 miles at their own pace . Probably.....As I have a massive weakness for anything inaugural when it comes to runDisney. However, over the past month I have spent a small fortune on runDisney related items between Wine Dine Half registration, Walt Disney World Marathon Weekend and paying for the travel portion of Disneyland Paris.